Durable engineering-grade nylon polymer, heat and impact resistant. insert a loaded stripper clip into bottom portion, push down on the rounds with the magnetic-tipped plunger. 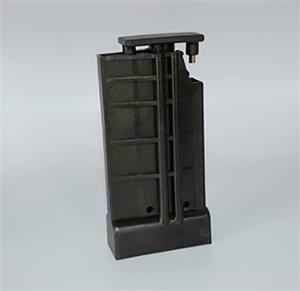 the operator can re-load an empty magazine within seconds. Pull the plunger out, magnetic tips extract the now empty stripper clip.